Don't make those rookie mistakes! 140 pages. 20 lessons. Grammar tips that won't leave you snoozing at your desk. 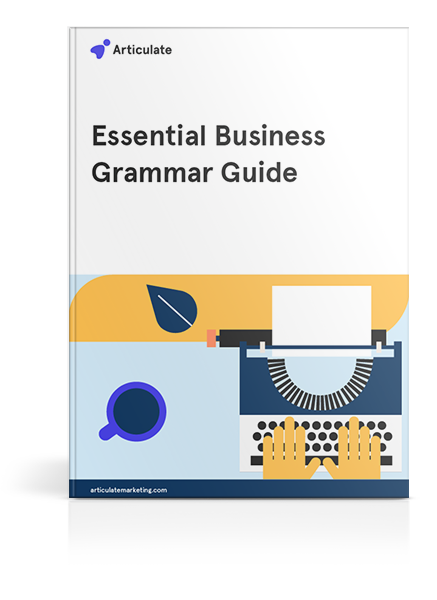 When you write copy for business use, you need three resources to hand: a dictionary, a thesaurus and this guide. Why do you need to up your game? If you're in business, you know that written communication is about paying attention to the details. Otherwise, you risk coming across as unprofessional. That's where grammar comes in.